Why is social media being used by Mainstream Media? Watching most news media, listening to a radio station, or other mainstream media these days is very apt to end with encouragement to see the organization’s social media site. While social media has been gaining momentum, especially since the late 90s, the use of mainstream media and social media is relatively new. 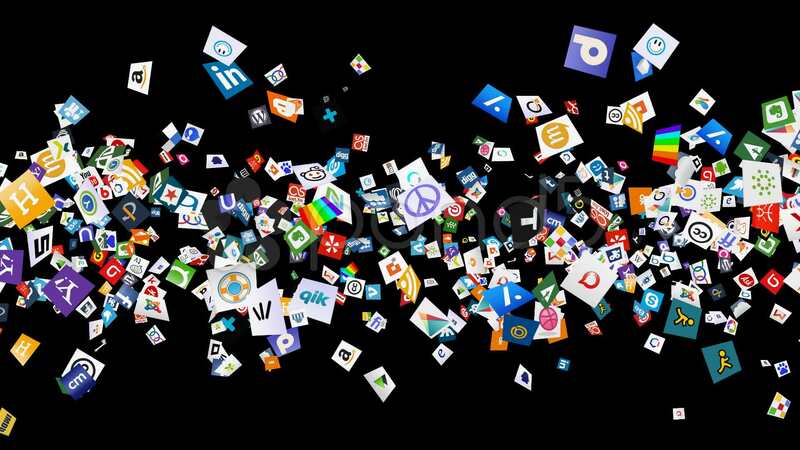 An explosion of social media use, specifically since the Presidential election has yielded the question “why the explosion of social media in mainstream”? For the most part, mainstream media has used the social media platform to broadcast content which would otherwise be unfit to put on the news or the radio. So long as the content has a quirky visual, a democratic or republican stamp on it, or their logo, then it is generally considered factual. Even when the story says that it is “unfolding” (a subtle way of saying that they do not know the complete facts or details), we take it as truth. The more bizarre or gruesome the more it is shared and propagated. Mainstream media knows this (you only have to look at Bing’s news bar to see such), and has used social media as a means to get the word out, even if it is not 100% beneficial or factual. One of the key areas in which mainstream media and social media have merged is in the news networks. But this integration of social media has not come at a cost. Networks and those who represent the smaller mainstream reporting have been targeted as delivering fake news through Social media. The populating of posts, pictures, tweets, and other propaganda to influence the minds, voting, and perceptions of the public have been scrutinized so much that the GOP has boycotted mainstream media in some instances. All is not negative with the explosion of social media in the mainstream news. Because of the dependence of the American public upon social media, both local and national news has been able to use platforms as a means of informing the public of emergencies. One can see this with the status updates for the various hurricanes which hit Texas and Florida in 2017. Additionally, social media was used to update parents in the New England area when there was a shooter at a college. On the local level, primary and elementary schools have used social media to notify parents of schools closing due to snow, about delays in buses, and such information. When considering the method in which most people interact with media, audio is typically less preferred than visual stimulus. Therefore, radio broadcasts have integrated into the mainstream social media as a way to encourage engagement with their station/brand. Stations have opted to use social media as it (a) allows the station to be streamed via Facebook, YouTube, and other platforms which are used on mobile devices and smartphones, thus increasing their target audience, and (b) by using social media and partnering with sponsors, the radio station increases their revenue allowing them to stay on air. This is especially true for stations which are publicly funded. Perhaps the biggest negative of the mainstream explosion to social media is accountability and reliability. Where there have been federal investigations into some of the media and the influence of posts and news presented to the people, the fact remains that once the information is out there, it is out there. Yes, there is a higher level of caution used by the more well-known organizations, but this is only a part. Lower or self-proclaimed reporters and networks which stream content and allow that content to be shared are, generally, not held to the same status as the top mainstream media providers. As such, those individuals are given a sort of carte blanche in what they can report, share, propagate, etc. They have taken this freedom and have turned the mainstream not into a means of reporting factual content, but rather as a platform to share opinions and speculations. As stated, while there is a level of accountability, once the information is out there and spread, there is little to do to contain it. Where could mainstream media and Social Media end up? Due to the increase in political and social media use in mainstream media, it is quite possible, and even predictable, to see regulations on how mainstream media and social media can be used. Sure, there are some terms and conditions of use for social media sites (if they are read which most people, honestly do not, you would be surprised as to the stipulations), the use of social media for mainstream purposes will become highly regulated. It would not surprise me to see legislation regarding how content dubbed “reporting” or “mainstream” is to be formatted, disclosed, and verified. While some would shout that this would be an encroachment on the freedom of speech, one has only to look at the acts of legislation which have restricted the voice of those opposing other sectors of Social media. While social media and mainstream media are not apt to decrease in use, sharing, or content, we may find that sites such as Facebook, Twitter, and Google+ limit who is considered mainstream, what can be posted, and the level of sharing and comments available for such content.